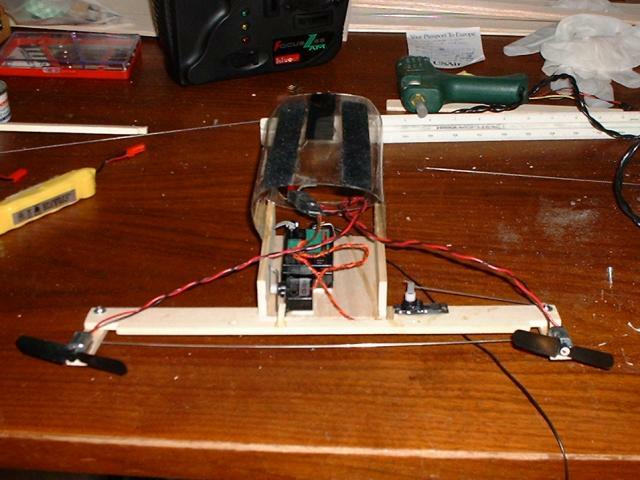 I have been flying remote control (R/C) planes for a few years now. 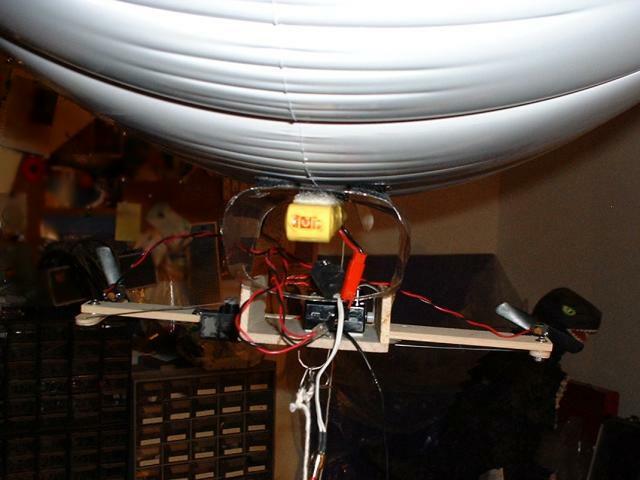 I prefer electric powered flight because it's less noisy and dirty, resulting in the ability for indoor flight. After seeing small scale advertising blimps flying at the local indoor stadium, I decided to give it a try. 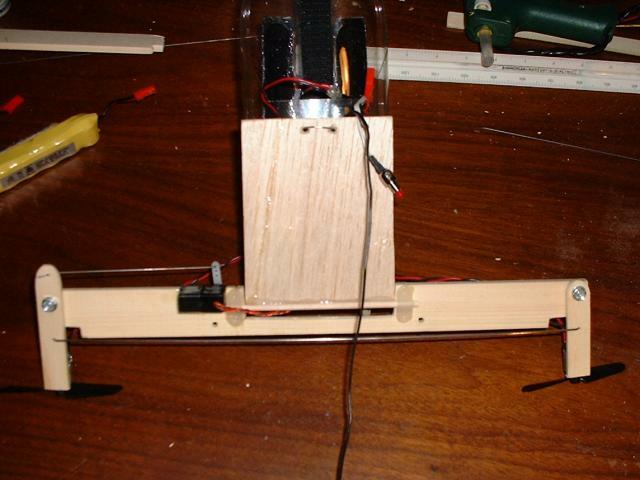 Since I had experience with balsa, radios, servos and electric flight I built my own gondola (the box that rides under the blimp). Besides the gondola you need a blimp bag. 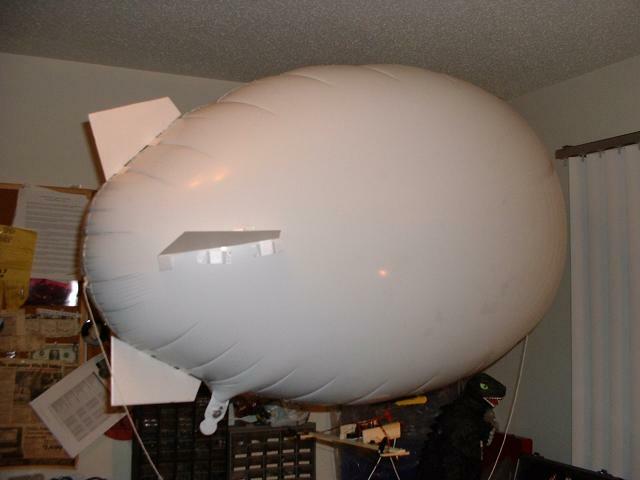 There is a large selection of blimp bags and accessories available from Mobile Airships & Blimps and West Coast Blimps. I used is a 48" mylar bag with refillable valve from Mobile Airships & Blimps. For a small fee I was able to fill the bag with helium at a local party supply store. The alternative is to spend CAN$30 for a measly 10 cubic feet of helium in a party canister and fill it at home, when the bag requires 15 cubic feet! I ended up buying one of these canisters anyway to top off the bag once in a while (one tends to lose some helium from small holes after running into lamps, ceilings and other obstacles!). I went with a vectored thrust design since it seemed to be the coolest. 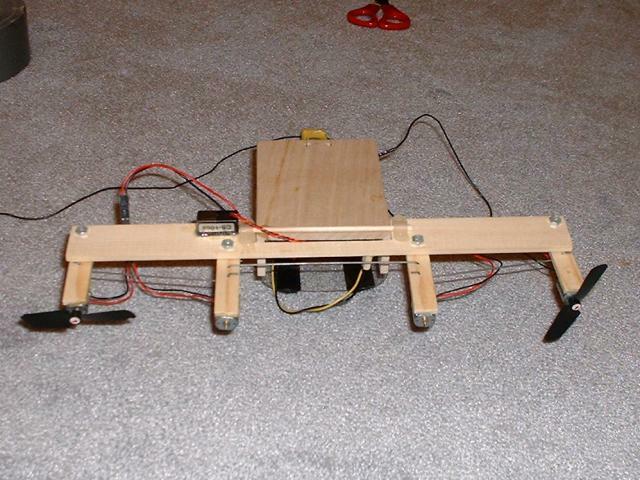 I had originally intended to use 4 fans, as can be seen in the following images. 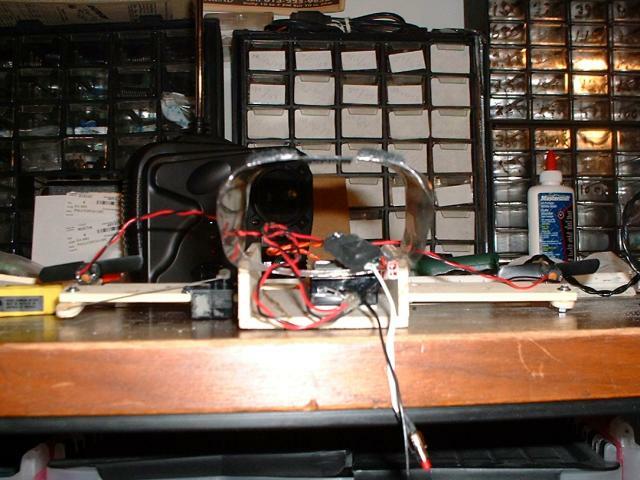 The design worked, however it was too heavy for the blimp bag I chose (yes the images below show the inner fans missing the propellers - they were on back-order at the time). 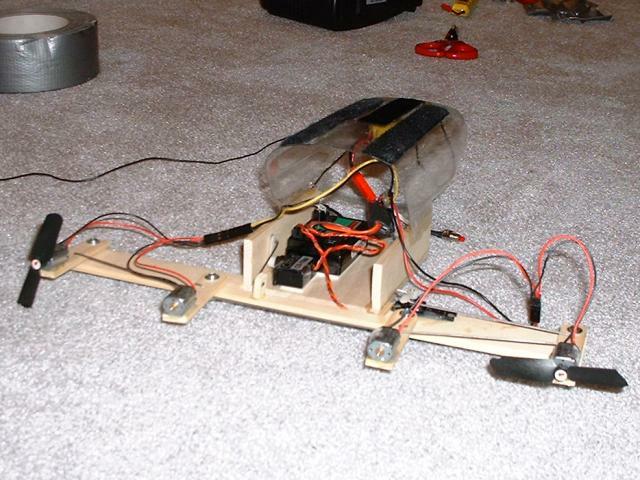 After removing 2 fans I finally had a blimp that would fly! Even with only two fans the thrust was phenomenal! I only need to tap the throttle to get the blimp really moving. The vectored thrust is rather tricky to operate when turning. 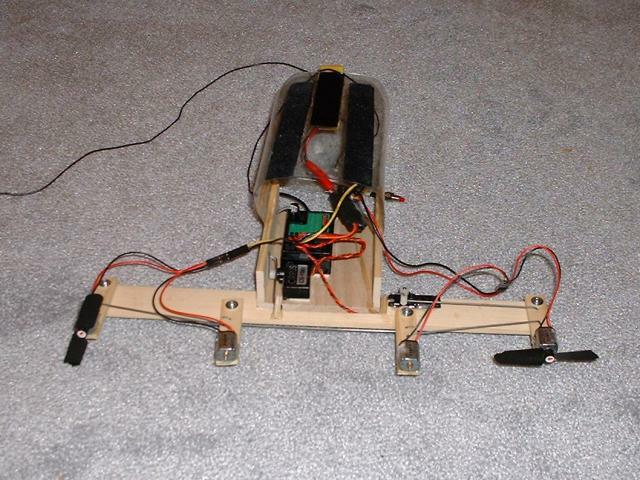 I plan on adding some intelligent control box to the gondola to help smooth out steering. The gondola is attached to the bag using velcro. This allows changing of gondolas and the ability to bring the gondola from work/stadium/wherever to home and vice versa, without having to truck along the bag (more than one bag is needed, of course). Cables were added to allow anchoring while not in use, and to prevent the gondola from smashing to the floor if it broke off from the bag.